Buying a new car is a big task to take on, especially when it comes to negotiating the price of the car. Some people believe salespeople to be unfair or sneaky, but that doesn't mean you have to be afraid to go to a dealership. In fact, many aren't actually trying to rip anyone off. At the end of the day, a car dealership is a business that is just trying to be profitable. It's a good idea to prepare yourself before walking onto the lot and looking at a car. If you have a strategy and know some of theirs, you may come out ahead. When you're ready for a new car, you may be considering trading your current vehicle in at a dealership. Your interaction with the salesperson, then, will begin with determining how much the dealership will pay for your car. Be sure to do your homework before you bring your car in and find out what it's really worth. Kelley Blue Book is an excellent resource for this. Then, when the salesperson makes the first offer, you will know how far off from the car's actual value it is. Offering a price that's too low has several advantages for the dealership. The obvious one is the business will be losing less money in the sale. According to Business Insider, it can also cause you to question the worth of the car, and you may end up settling on a price that's lower than you deserve. 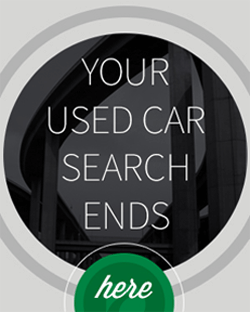 Tweet: "Find out what your car is really worth before you bring it to the dealership for a trade-in." Additionally, when you start increasing the price, you may begin to feel like you're getting a better deal. In fact, according to Carbuyer, you still may be getting an unfair price, but since it's higher than the original offer, you may not notice. Salespeople want you to buy today. So when it looks like you're close to agreeing to the sale, they may push a little harder to try to get you to sign a contract before you head home. There are a few different ways they may do this. Bankrate explained one of these is by telling you an "impending event" won't allow you to buy the car in the future. This event might be fact or fiction, and it could be anything - from the limited nature of that model or color, to the end of a sale. "Pressure is put on the buyer to make a decision right now because circumstances will change, or the product won't be available," said Dan Seidman, who wrote the book "The Ultimate Guide to Sales Training" and is the CEO of GotInfluenceInc.com. Carbuyer pointed out the salesperson doesn't have to be this detailed to make the offer seem time-sensitive. Reiterating how rare the model is or how popular it is will begin to put this into the mind of the prospective buyer. 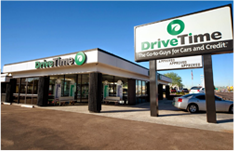 Most businesses offer more than one product and a car dealership is no different. In addition to the car, you can also purchase treatments or upgrades like interior theft devices and extended warranties. Jeff Bartlett, deputy auto editor for Consumer Reports, explained to Bankrate the salesperson will likely frame it under the context that since you're already paying a good amount of money on the car, you might as well make sure it stays in good shape. This might be in the form of tire protection, rustproofing or treatments that guard against dirt and scratches. Other times, you may not be aware you are purchasing more than just the car, explained Business Insider. Instead, these additions may have been added into your lease agreement. If gone unnoticed, the only sign of them could be the slightly higher monthly payments. These tactics can wind up costing you extra money you didn't originally plan on spending. In the worst case scenario, you may sign onto an agreement you can't afford and end up falling behind on payments. This can put you at risk of damaging your credit score or losing your car. The best thing to do is be prepared. Know how much you're willing to spend and don't go over that amount. Be aware of some common sales tricks and don't feel rushed to make a purchase. Want to have more used car buying advice delivered straight to your inbox?! Sign up for our newsletter!